Join us here at Reading and see where your degree can take you! 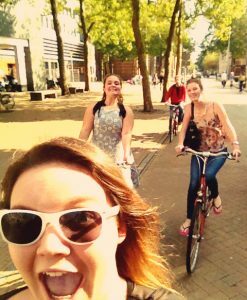 Read about your fellow student’s experiences abroad and see why studying abroad could be the most fun you could have at university as well as potentially enhancing your future career prospects and options also. Posts with a blue header are written by University of Reading students who study abroad at one of our international partner universities. Posts with a red header are written by students from one of our international partner universities who study abroad at the University of Reading. Enjoy reading about their adventures!